Homegrown organic cotton blankets? Yes please! 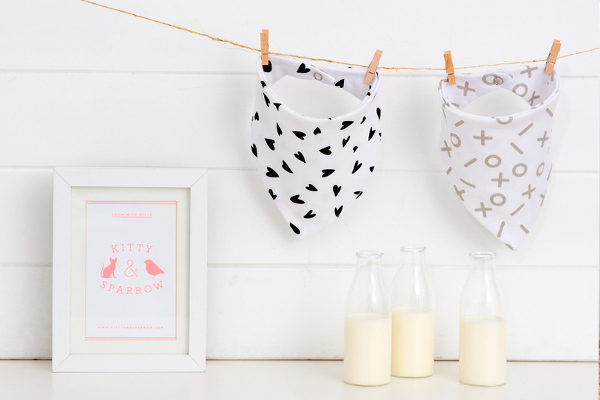 Sydney-based label Kitty and Sparrow are all about super stylish essentials for babies and toddlers, and that means bibs and blankets, and lots of them. They have two new releases for this season, both with a bold monochrome look, and we think they’re great. The first is the gorgeous Young Hearts line, a modern twist on hearts on childrenswear, in a bold black and white. The second is Tic Tac Toe, in a softer grey, which echoes the game of the same name. 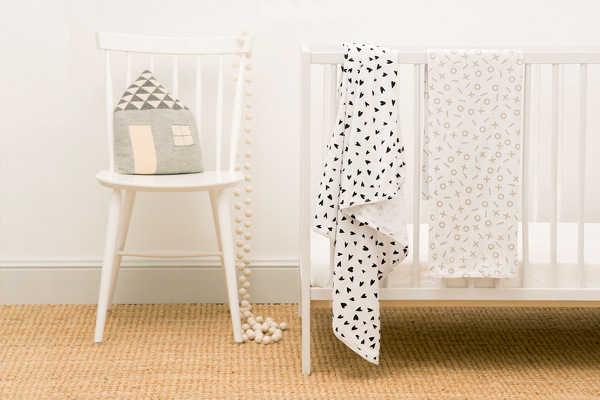 Both prints are available in their deluxe dribbler bibs, burp cloths and luxurious cotton blankets – all of which are made in Sydney from pure organic cotton. Bibs will set you back $15, as will a three-pack of burp cloths. Cotton blankets are $49. Kitty and Sparrow also stock a range of gift packs which include combinations of all these items, for a discounted price. You can see all the combos and styles and buy them online directly at Kitty and Sparrow.